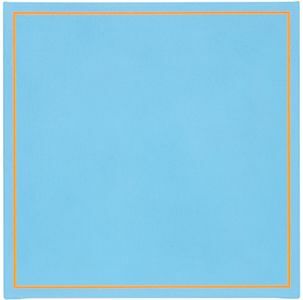 We are pleased to present Luke Frost's first exhibition of minimalist paintings at the Zimmer Stewart Gallery. In his work Luke Frost explores the pictorial possibilities of colour, the perceptions of colour in strictly formal arrangements, which pose the saturation, rhythm, balance and contrast of colour against architectural space. 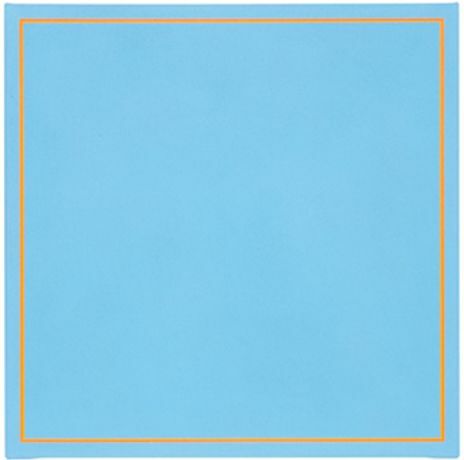 These curiously alluring paintings on canvas and also aluminium are austere and reductive, minimal and hard-edged. They demonstrate an aesthetic more consistent with his grandfather Sir Terry Frost's generation than with his young contemporaries. Comprising saturated fields of colour intersected by vertical bands, Frost's works are at first sight indebted to Barnett Newman's Zip paintings. Closer inspection reveals these bands  or âvolts' to use Frost's term  to be composed of several thinner, variegated stripes, often with only the slightest variations in hue. Luke Frost is an artist who lives and works in Penzance, UK. He has exhibited widely since graduating from Bath Spa University College in 1998. Luke participated in the âArt Now Cornwall' exhibition at Tate St Ives in 2007. He was also Artist in Residence at Tate St Ives for a year during 2008 followed by a solo exhibition in the gallery in early 2009. In 2010 he held a solo show at Beaux Arts London and exhibited recently in Baltimore, USA. To accompany these exhibitions several catalogues have been published containing essays by Matthew Collings, Tony Godfrey and Michael Klein to name a few.